S'mores is awesome, btw. One of my current go-tos when I want a sweet snack. It reminds me of how awesome Golden Grahams used to be before they changed the recipe and made it all cardboardy. How long ago was the Golden Grahams recipe change? I did not know that but I loved Golden Grahams when I was a kid. Re: S'mores are you guys talking Kellogg's or Malt-O-Meal? B/c I like the K brand but strongly prefer MoM S'mores. The fact that it comes in a huge bag is a plus (especially compared to the pathetically small K S'mores box). 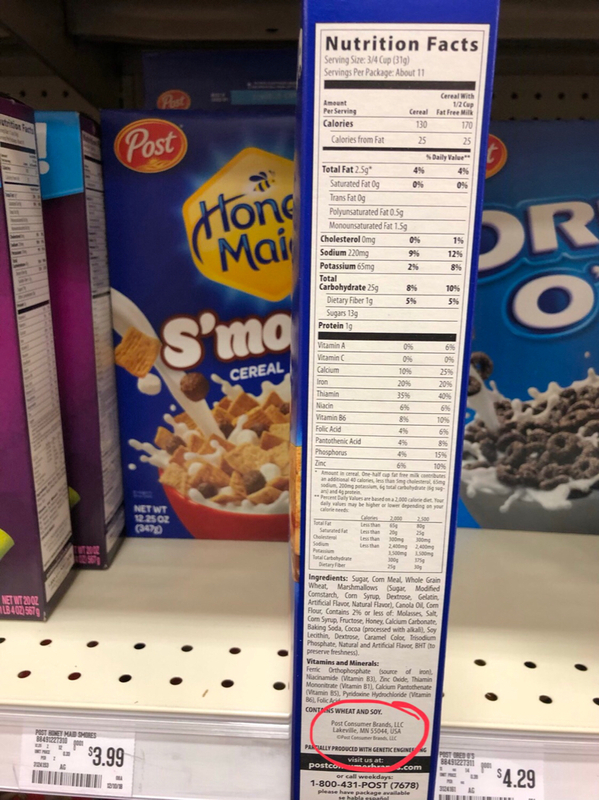 Edit: I just looked it up and the Kellogg's version is Smorz so I assume we are all talking about Malt-O-Meal. I am definitely talking MoM or Post brand (i.e. grahams with marshmallow and chocolate puff pieces). The Kellogs Smorez are ok, but definitely a step down. BTW, when MoM Smore's first hit the market, they were in a bag. But about a year ago, my local grocers stopped carrying them (even though they still carry all the other MoM bagged cereals). About that same time, I started seeing the Post S'mores in a box. I haven't done a side-by-side comparison, but from memory, they taste pretty much identical. I've long wondered if they aren't actually MoM Smores being sold as Post cereal. 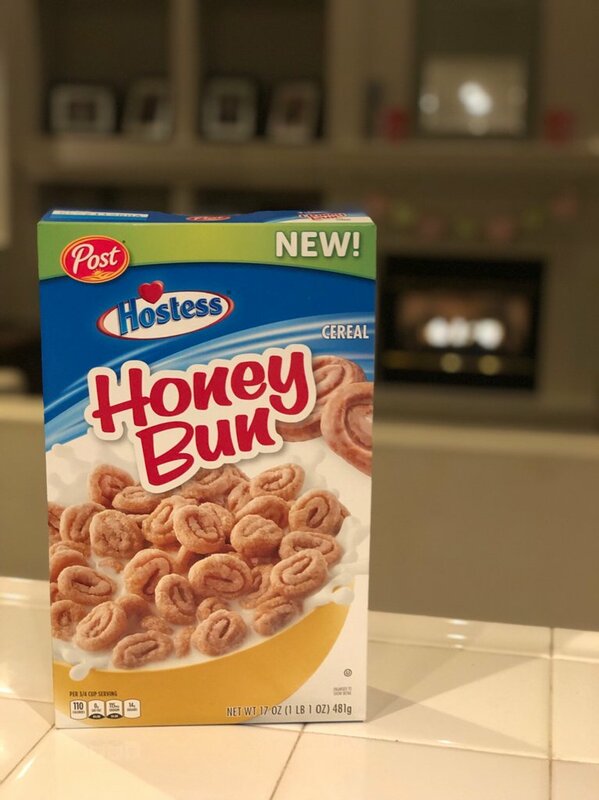 It does seem like Post has made a big push to introduce new cereals in the last 2 years. 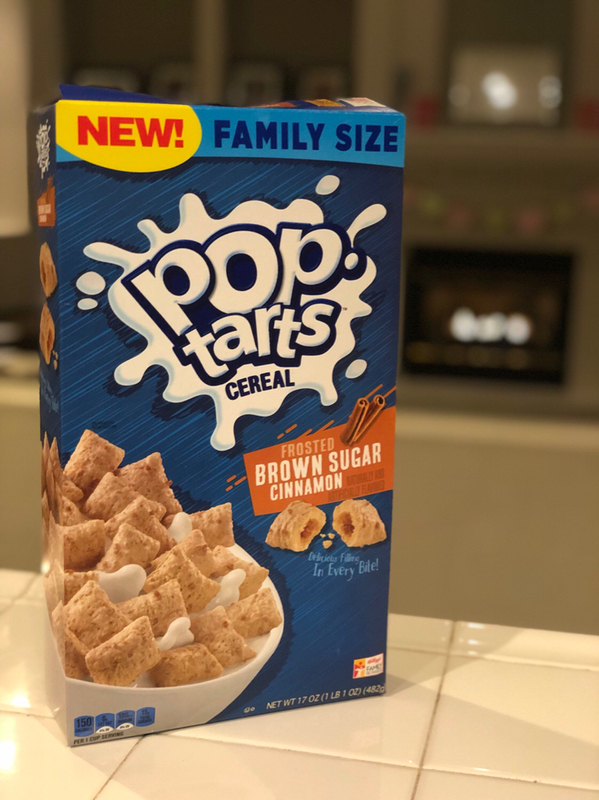 As for the comparison between Golden Grahams and the graham cereal in S'mores, I think one big difference is that the S'mores grahams are sugar dusted. IIRC, Golden Grahams used to be that way as well. They aren't anymore, and I think that is a huge part of why they aren't as good as they once were. Last edited by Donuthole; 12-28-2018 at 12:57 PM. I haven't had cereal in years. I don't even recognize most of what is in that picture. I loved Golden Grahams back in the day. We're just blessed in the 208 to still have the big bag MoM S'mores, I guess. BTW, when MoM S’mores first hit the market, they were in a bag. But about a year ago, my local grocers stopped carrying them (even though they still carry all the other MoM bagged cereals). About that same time, I started seeing the Post S'mores in a box. I haven't done a side-by-side comparison, but from memory, they taste pretty much identical. I've long wondered if they aren't actually MoM S’mores being sold as Post cereal. It does seem like Post has made a big push to introduce new cereals in the last 2 years. My favorite cereals that I eat regularly are all non-sugary. Wheaties, Corn Chex, Cheerios, and Grape Nuts. However, put a box of Cocoa Pebbles in front of me, and it will be gone in less than 24 hours. i eat all those cereals you mentioned above - currently have rice chex and grape nuts, but i put sugar on them. I've been refraining from cereal since around the time that the dude told us about the Obesity Code. Cocoa Puffs are better than either of those. We try not to keep those or Reeses Puffs around or I'll eat them all. Cocoa Crispies are great. The key advantage they have over Cocoa Pebble is that Pebbles get mushy pretty quickly (I have never had an issue with getting them down the hatch in short order, however). But a fresh bowl of pebbles with cold milk is tops for me personally. Cocoa Puffs have inferior chocolate flavor, and they tear up the roof of my mouth. Pass. we currently have a box of Chocolate Frosted Flakes at our house. They are not great. thought about grabbing some when i was at the grocery store a couple days ago. but yeah, they look bad so i declined. All Frosted Flakes variations are pretty much awful. They've tried Cinnamon (disgusting--literally coats the inside of your mouth with a bitter film) Chocolate, and Honey, that I know of. I could eat Honey in a pinch (though they're not as good as the sweetened flakes in Raisin Bran Crunch) but the others are just awful. They need to stop trying to make that work. Meh. The flavor on these is ok, though they don’t really taste like a brown sugar pop tart. That said, the texture is really strange. Almost like chewy styrofoam. I can’t quite get over it. Because of that, I give them a thumbs down. Probably won’t buy again. Where are you- Cancun or something? I ate my fair share of Zucaritas on my mission. I remember teaching la cocinera in my first area how important it was to make the powdered milk the night before and then let it chill all night in la refri so it was cold in the morning. This has never occurred to her or my Latino trainer, who were both raised on lukewarm powdered milk. Then I went to my second area, in the middle of the jungle, and they ate their cornflakes with hot milk. Never got used to that. If you think cornflakes get soggy in cold milk, multiply that by 1000 for hot milk. Instant mush. I had to teach that cook the chilled milk trick as well. I was over a year into my mission before I actually got pasteurized, homogenized milk. I also had a grocery store in that area that sold Quaker brand bagged cereal. Marshmallow Safari and Sweet Crunch for days. I was in heaven. LOL - I started off mixing up my powdered milk to put on my corn flakes (when we were lucky enough to be able to buy them) but by the end of my mission I had devolved to simply dumping the dry powdered milk onto the corn flakes, pouring cold water on it and mixing the whole mass in the bowl. I generally think of DH as a fairly fit man, especially for a lawyer, but this thread makes me worry that a moniker change to diabeetushole is in his near future. My wife bought some Donut O's, so I was obligated to try them. With milk, they were pretty good. Not my favorite cereal ever. I think I preferred them without the milk. I can speak for Oreo O's. Solid. I just had some this morning. Not as good as Reese's though.